A while back I posted scans of some seminars from a while back here and I thought I would restart this activity (which I call retroblogging). I (and I hope some others) find it really interest to go back and see what people were talking about 10, 20, or more years ago. 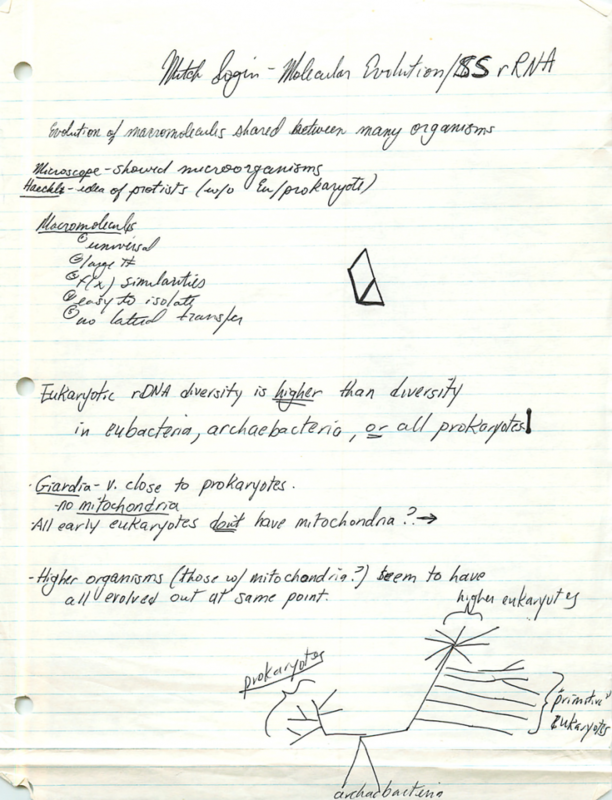 See for example Retroblogging seminar by Norm Pace on Invisible Diversity from 1990 and Retroblogging seminars: notes from talk by Charlie Yanofsky in 1991. 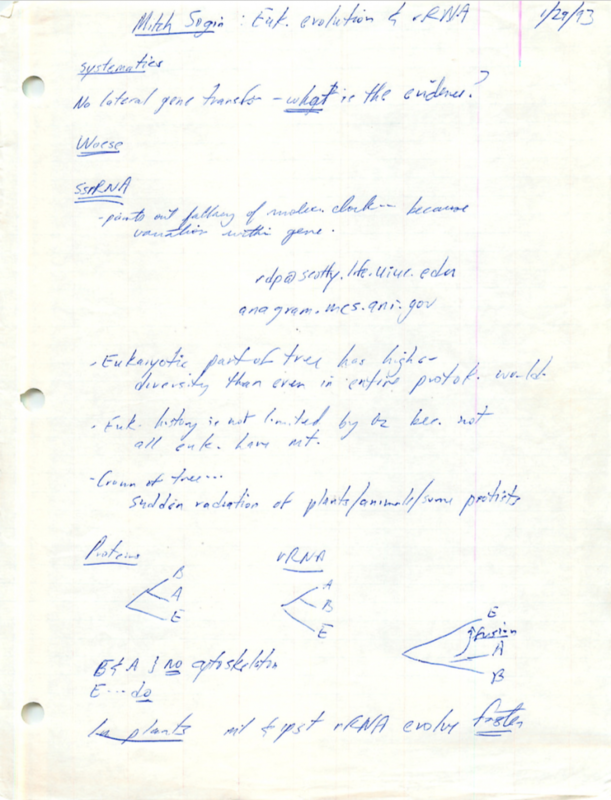 So here is one for today – notes from a few talks by Mitch Sogin. 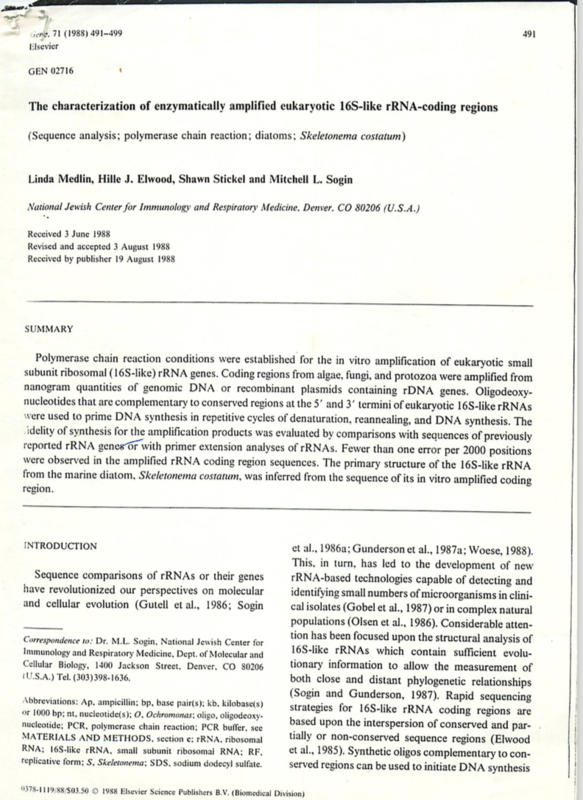 Mitch had a big influence on me since I learned a lot about rRNA gene sequencing and PCR from him both directly and indirectly when I was an undergraduate researcher in Colleen Cavanaugh’s lab. For example, I read and re-read the Medlin et al. paper of his and even carried that paper with me until, well, today. I just found it in a folder where I found notes from some of Mitch’s talks. 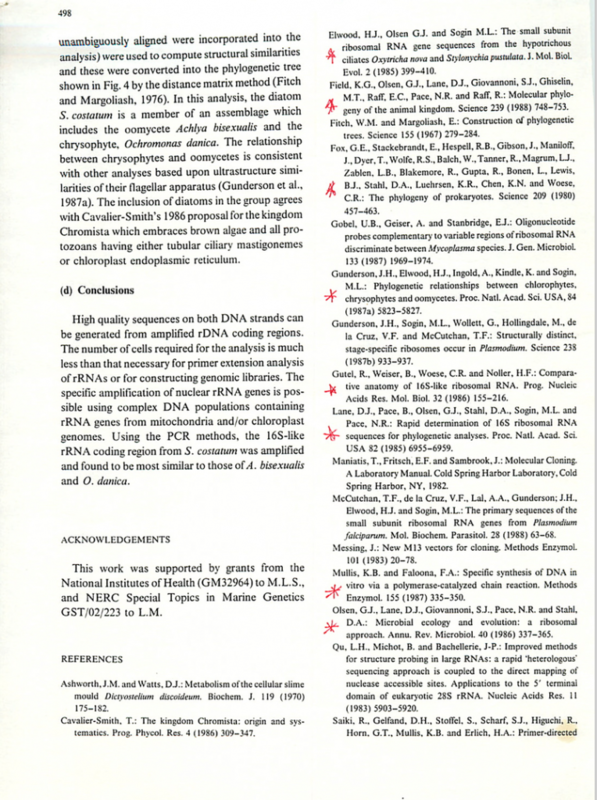 Mitch was one of the true pioneers of the field of rRNA gene sequencing from uncultured organisms. And so it was cool to me to find in this folder some notes from some of his talks I went to. Mitch continued to have a major impact on me and my career for many many many years. I took the MBL Molecular Evolution course that he ran at the time, for example. And when I was at TIGR I was involved in co-designing and teaching a MBL Genomics course. 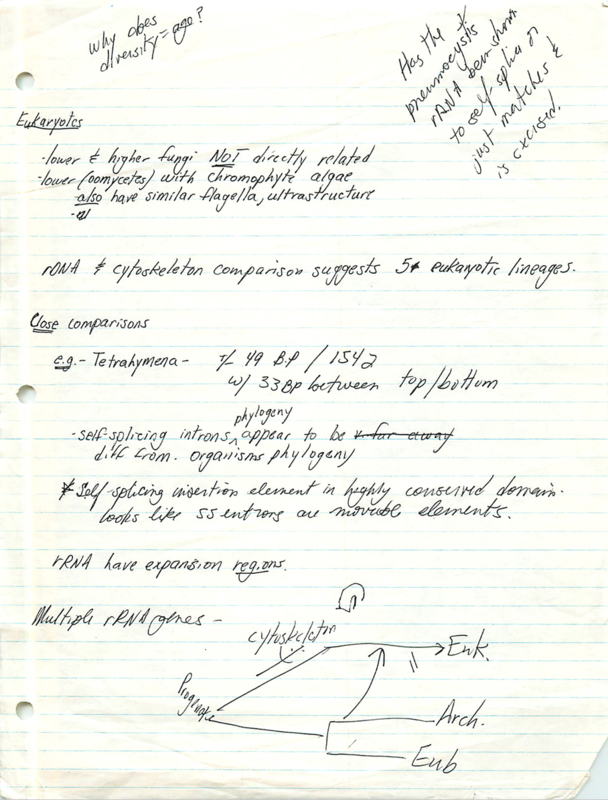 And his work and papers continued to influence me as my career progressed. So again, it was neat to me to find these old notes.